Title: 'Arabia'. Dutch text on verso. 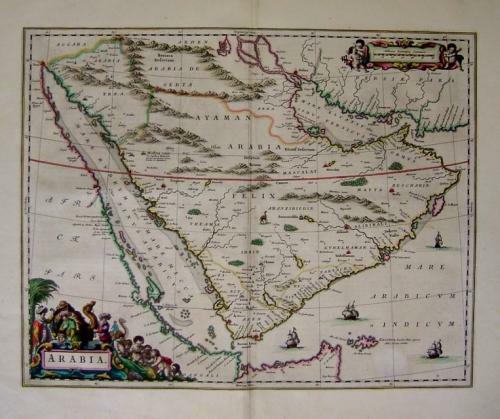 A beautiful engraved map of Saudi Arabia with original hand-colouring, a large pictorial cartouche depicting figures and camels, ships.